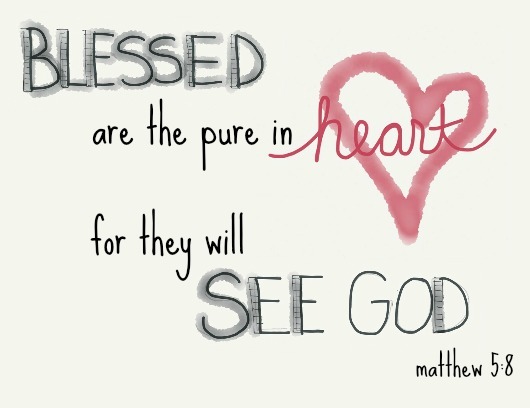 Matthew 5:8 (KJV): Blessed are the pure in heart: for they shall see God. I spent last week at a great women’s conference where hundreds gathered to praise our Lord and Savior, Jesus Christ. The Spirit of the Lord was strong and prevalent. God spoke clearly and purposely to me on several occasions. It was an anointed time; there is no doubt about it. I always hate when conferences end. I mean, who likes to come off the mountain top and go back to the mundane tasks of everyday life? But this time was to be different. God told me it would be different. Yes, Holy Spirit was strong and powerful during Sunday morning worship. Yes, the message on Sunday was anointed, timely, and right on point. I even felt a strong presence of Holy Spirit while teaching my Sunday evening class (the strongest presence I have ever felt before while teaching). But none of these things were the highlight of my Sunday. None of these things were the “different” that God promised me. No, that “different” came via a bunch of messed up, egocentric teens. A vehicle, mind you, that I never expected. In between church time and evening service time, I stayed with some teens who were practicing for an upcoming event. It was loud. It was rock music. Did I mention it was loud? Anyway, despite those things (or because of those things) it was some great worship time. I tried to stay out of it as long as I could because I wanted them to have their own time with the Lord, but, finally, I couldn’t take it anymore and I had to join them. I ran up on stage and began to sing with them. The presence of Holy Spirit was so overwhelming. I couldn’t sing because I couldn’t even breath. I couldn’t even stand and had to bow before the Lord. I have never experienced such a thing since my filling two years ago. It wasn’t supposed to happen. It went against everything I had previously been taught or thought. You see, I had come to believe that in order for Holy Spirit to be this present, something very holy had to be happening. The people present had to be seeking solely God and be totally retentive human beings. I believed it. I honestly did. However, when I looked around the stage, I saw three teenagers who were not perfect. One was indeed seeking and very recently filled with the spirit, but far from perfect. Another was a teen who knew the Lord but been running. Then there was another young person who I don’t even know has been saved! Yet, this is where I felt overwhelmed by Holy Spirit? In a group of misfits? With a group of teens who can’t possibly be worthy of such an event? Had I not experienced it myself I would not have believed it. I still do not understand it completely. But what God is now speaking to my heart is that He will use anyone or anything to accomplish His purpose. It is not up to us to decide. Furthermore, there are going to be things I just don’t understand. Period. People, we must not put God in a box. We must allow Him to work in our lives any way He wants. Because if we keep Him in that box, we will miss out. I could have disregarded my feelings and not joined the teens. I could have human reasoned the Spirit away by thinking God would not use a bunch of messed up, egocentric teens to usher in Holy Spirit. 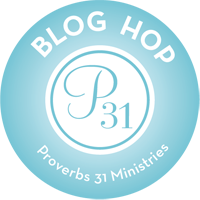 How many opportunities have I missed because I refused to give God room to move? How many times have I shut down Holy Spirit just because He didn’t work the way I thought He should work or how I have been taught He works? Those teens’ hearts were pure, pure for God. They may have not been perfect, but they were giving all they had to God. Because I allowed the Spirit to move, in the room and in my heart, I too was able to see the Lord!